Take your chance to debate the impact of country sports on the countryside. 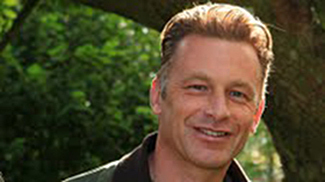 The World Land Trust (WLT) will hold its second public meeting with conservationists including Chris Packham, Bill Oddie, Mark Avery, and Andrew Gilruth at the Royal Society of London on 2 September 2014. “An open debate about the impact of sport hunting on wildlife and conservation is long overdue and it is time for arguments for and against hunting to be exposed to public scrutiny,” said John Burton, WLT Chief Executive. The World Land Trust describes itself as “an international conservation charity, which protects the world’s most biologically important and threatened habitats.” Founded in 1989, it has funded partner organizations around the world to “protect and sustainably manage the natural ecosystems of the world.” The event also provides the opportunity for members of the hunting and shooting community to show support for their sport and its importance to conservation. Andrew Gilruth, Director of Membership and Communications at the Game & Wildlife Conservation Trust. John Burton, Chief Executive of World Land Trust. To book online visit www.worldlandtrust.org/news/events. Who’s funding the antis, Can the RSPCA work with gamekeepers?